Based on the way the industry is moving, 2019 is set to be an exciting year as AI gains more prominence and, quantum and crypto-agility start to make themselves known. From the record-breaking number of data breaches to the implementation of the General Data Protection Regulation (GDPR), 2018 will certainly go down as a memorable year for the cybersecurity industry. And there have been plenty of learnings for both the industry and organisations, too. Despite having two years to prepare for its inception, some companies were still not ready when GDPR hit and have faced the consequences this year. According to the law firm EMW, the Information Commissioner’s Office received over 6,000 complaints in around six weeks between 25th May and 3rd July – a 160 per cent increase over the same period in 2017. When GDPR came into force, there were questions raised about its true power to hold companies to account – with the regulation saying fines could be implemented up to £16.5 million or 4 per cent of worldwide turnover. The latter half of this year has shown those concerns were unfounded, with big companies, including Uber as recently as this week, being fined for losing customer data. What 2018 has shown, is the authorities have the power and they’re prepared to use it. What should CISOs be prioritising in 2019? There is no doubt that 2018 has been a memorable year for cybersecurity professionals and the industry as a whole. From overseeing the implementation of the General Data Protection Regulation (GDPR), to the record-breaking number of data breaches, CISOs have had increasing pressures on their shoulders. And, as technologies like Artificial Intelligence (AI) gain more prominence and emerging technologies such as quantum computing are pursued even further, 2019 looks like it could be another hard year for the industry. With all this in mind, what might the next 12 months bring the security industry? Next year will see the emergence of the future of security – crypto-agility. As computing power increases, so does the threat to current security protocols. But one notable example here is encryption, the static algorithms of which could be broken by the increased power. Crypto-agility will enable businesses to employ flexible algorithms that can be changed, without significantly changing the system infrastructure, should the original encryption fail. It means businesses can protect their data from future threats including quantum computing, which is still years away, without having to tear up their systems each year as computing power grows. Up until now, the use of AI has been limited, but as the computing power grows, so too do the capabilities of AI itself. In turn this means that next year will see the first AI-orchestrated attack take down a FTSE100 company. Creating a new breed of AI powered malware, hackers will infect an organisations system using the malware and sit undetected gathering information about users behaviours, and organisations systems. Adapting to its surroundings, the malware will unleashing a series of bespoke attacks targeted to take down a company from the inside out. The sophistication of this attack will be like none seen before, and organisations must prepare themselves by embracing the technology itself as a method of hitting back and fight fire with fire. As organisations embrace digital transformation, the process of migrating to the cloud has never been under more scrutiny; from business leaders looking to minimise any downtime and gain positive impact on the bottom line, to hackers looking to breach systems and wreak havoc. As such, 2019 will see the rise of a new role– the Cloud Migration Security Specialist – to help the CISO securely manage the transition. Whether the role is internal or external, a vital part of supporting the CISO is to ensure that as workloads transition to the cloud they are secure from any potential hackers. Jason Hart, CTO Data Protection, Gemalto, is today predicting that data integrity breaches are set to send shockwaves throughout the world in 2017, with at least one ‘almighty’ breach disclosure of this type expected next year. 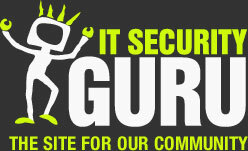 Read the full article at IT Security Guru here.